Wolverhampton. A great city. A great University. If you’re looking for multiculturalism and a dynamic urban environment without the London price-tag, then Wolverhampton may be right for you! 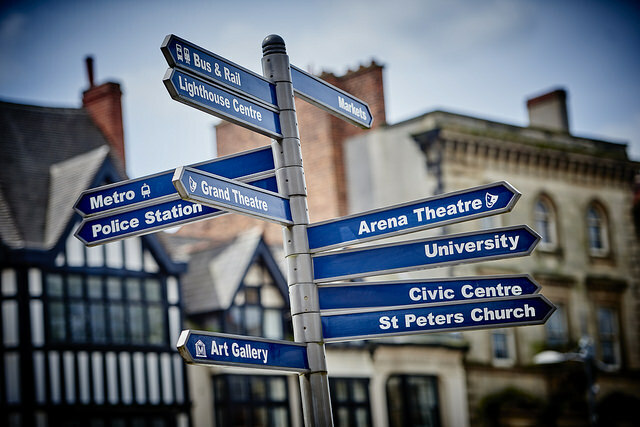 You could be among the hundreds of international students we welcome each year to the University of Wolverhampton, who join our friendly community in the centre of England, or study our degrees through our partner institutions overseas. We’re a truly international university – over 2,500 overseas students from more than 100 countries. Internationally recognised qualifications – the University offers over 250 undergraduate and 120 postgraduate courses, many of which are accredited by professional bodies. Modern facilities – we’ve invested around £125m over the last 15 years to ensure that our facilities for students are world class. A central location at the hub of the UK transport network: Birmingham 18 mins; Manchester 70 mins; London 98 mins. We’ve continued to expand our global reach, working with institutions around the world to deliver University-approved courses. Our long and successful history – we’ve been providing opportunity and academic excellence for over 180 years. ***Times Higher Education Awards 2016 winner: Outstanding Support for Students.